While searching our online catalog, Medianet, for your classroom resources, you probably have come across titles that are part of our Professional Development Collection. 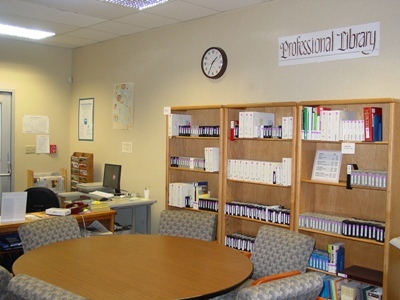 There are over 800 resources that are housed in our Professional Library and are available for reserving. An easy way to see what’s available in our Professional Development Collection is to go to our online catalog http://media.soesd.k12.or.us/ and click on “Mediagraphies”. All of our Professional Development resources are there in one place. In addition to VHS tapes, DVDs and CD ROMs, this collection includes print materials and selections from our digital subscription, PowerMedia Plus.